No longer in England. But this is the actual Christmas bit, including the run-up. On the 22nd I travelled south to Oxfordshire, hoping to get another taste of the best ale I ever had. That was in the summer of '77, which I spent at Exeter College, Oxford. I visited the brewery, pictured below. It's a Victorian 'tower' brewery, one of only a very few that have survived and which continue to produce, a century on. What a magic place it was! Literally out in the middle of you-no-where. Not far from Oxford, all things considered, but thoroughly country. Check out the photo below it. That's country England, 2014-style. Not a whole lot different from 1964, or 1924. 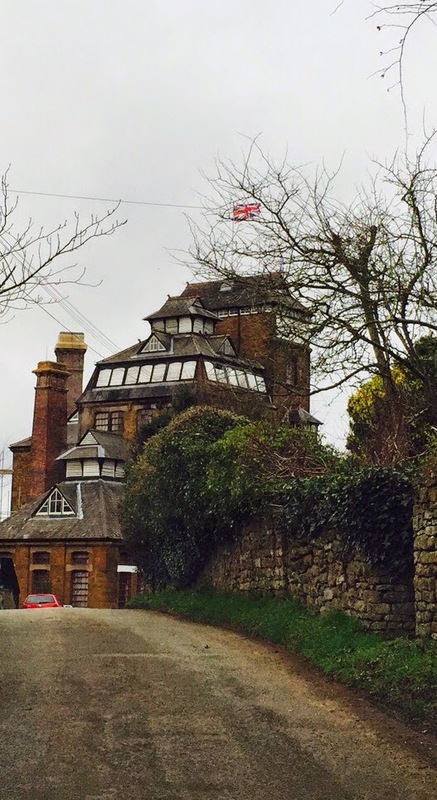 Hook Norton Brewery, Hook Norton, OXON. Paul Preston and Katie Davenport-Mackey, who invited me to be at TAG 2014, also invited me to stay with them over Christmas, in Southwaite—a country hamlet about 20 km south of Carlisle, in northern England. Paul's parents, Richard and Sue, made very sure that I ate and drank well during the two days of my stay. I arrived on Christmas Eve. Paul and Katie drove me at dusk to a Neolithic stone circle on a flat-topped knoll in the midst of a circle of impressively craggy and high mountain peaks in the Central Pennines. I was thrilled. Later that evening, at Richard and Sue's place, we had a smoked salmon terrine and mousakka, real ale from a cask, purchased from a nearby microbrewery, Spanish wine, Middle Eastern Araki [the analogue of ouzo, to go with the mousakka], and a lot of laughs. 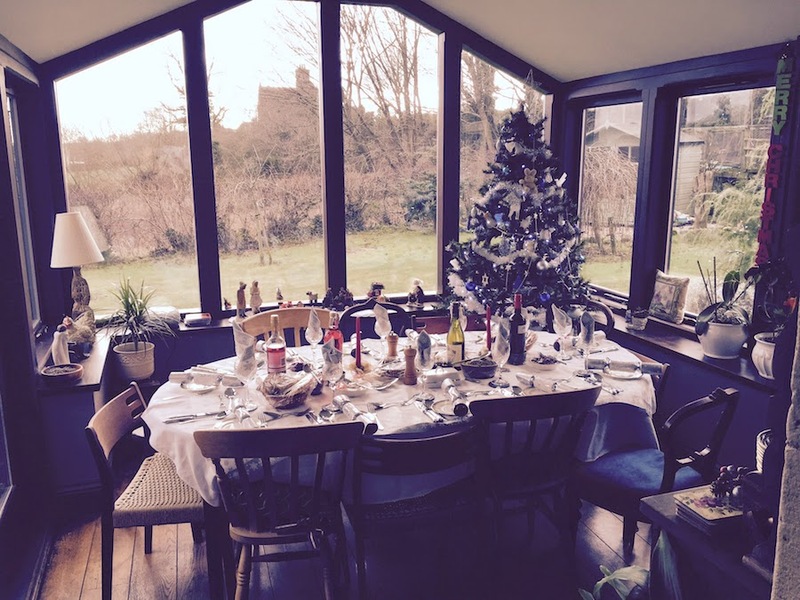 Then on Christmas Day, we had a feast in Richard and Sue's sun room, which had been decorated by the grandchildren the day before. Have a look—Christmas crackers, a manor or two in the distance. I was very lucky. The turkey was succulent, and the trimmings were classic—Brussels sprouts, parsnips, roast potatoes, and on, and on. It was comfort food times 5! That's about it. There had been moments, after my crash-and-burn at TAG, when I considered making my way home and missing Hook Norton, my old friend Alec, and Christmas in Cumbria. I'm very glad I didn't. Instead, I made lemonade! Happy New Year, Dear Reader! See you soon.